Here is a quick sneak peek from Toria and Lewis' engagement photography in my favorite place in Boston. The North End offers beautiful alleys and streets to shoot, especially with fantastic couples like these two. 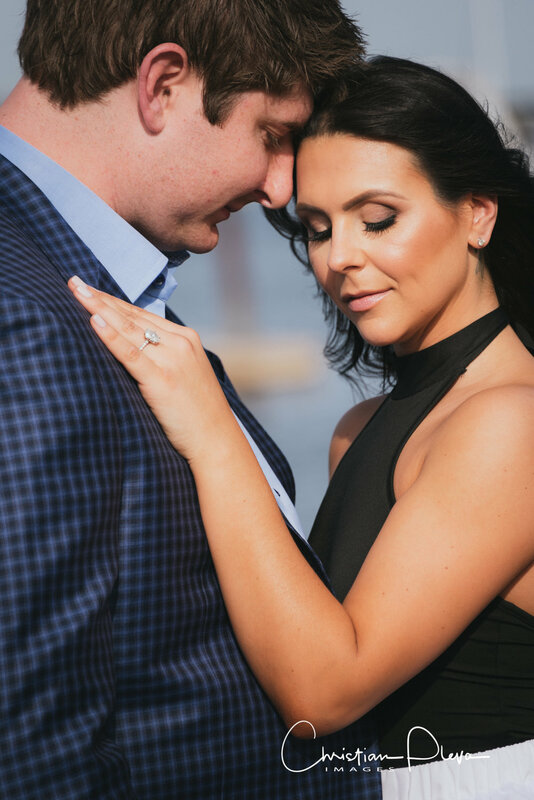 We had some fun and I can't wait for their New Years Eve Wedding at the Four Seasons! Here are a few images and some words from the couple about their story. We actually met at the Bristol lounge in the Four Seasons (which is where we are getting married) It was Lewis’s cousin Kendell’s birthday and Toria is a friend. She asked if I had any friends to set Lewis up with.. so I said what about me?! We were in Napa California. After a long day of wine tasting we had reservations for dinner at our hotel. It was also the Patriots season opened so of course Toria wanted to watch the game. Lewis had to get her to leave earlier so said his parents sent us a nice bottle of champagne to have before dinner. They walked down to a secluded part of the hotel outdoors to a table with champagne cheese and strawberries. With a photographer hidden in the trees Toria popped the bottle and Lewis popped the question. 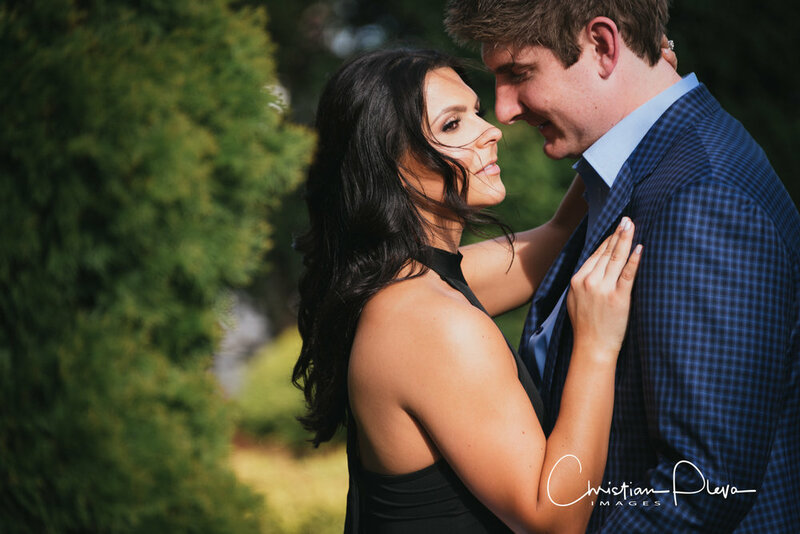 We love food and wine so we wanted to get married at not only a beautiful venue but a place that’s known for its exquisite culinary expertise and service. We are also super excited to celebrate New Years will all of our friends and family and the confetti cannon that will shoot out at midnight! We wanted it at a location that meant something to us. Lewis lived in the North end of three years and has a boat on the waterfront so we wanted that special connection. We decided to dress a little more formal to match the feel for our black tie wedding. Wear something you are comfortable in and just have fun. Christian does all of the work to make you look good so you don’t have to worry about posing or looking a certain way. The session was great. We talked to Christian for about a half hour since it was the first time we met so it made us super comfortable. Then walking around we found spots to take pictures. Christian was a great director and made the experience easy and fun!